The first thing most Internet users do to gather information on a business is to Google its name, or use Bing or other search engines as well. It is crucial to remember that apart from showing attractive, engaging, and positive content about your business online, these search listings can also feature negative content that shows your business in poor light. This can impact your business prospects as a majority of potential customers now form opinions or make buying decisions based on these search results and online reviews and comments. Here are some ways to successfully remove negative online content about your business. How to Completely Eliminate the Negative Content? There are two approaches to removing negative content. You can either try to eliminate it completely (that is take it down from the Internet) or suppress it using a combination of reverse SEO and online reputation management (ORM) techniques. Negative content can appear in websites you own as well as the ones you do not control. Your first instinct will be to have the bad review, defamatory remark or negative content erased completely from the face of the internet. Having a link removed ensures that it never comes up again in any search engine results. This is probably the most effective method of keeping negative content from impacting your business. However, it is easier said than done. It might be feasible to remove selective content from the websites you control. However, getting links removed from websites you do not own is a different ball game altogether. Facebook and Yelp sees the most negative comments and bad reviews. You might also see negative reviews on Google reviews. It is best to deal with negative content in a fair and genuine way. Try to respond to the situation with an aim to redress the negative reviewer’s concerns, apologize if necessary, and offer alternatives, explanations, or credible solutions. Follow-up until the negativity has been adequately resolved. Consider updating your business profile to generate more meaningful and honest responses. You could even try deleting your online profile if the situation is extremely dire, and start afresh by creating a new profile. However, there are some websites that will keep the negative reviews and posts alive even when you delete your profile. As a business, this extreme option might not be practice sometimes as you will lose even your positive and loyal followers when you delete your profile. Also, your brand trust will take a beating if you try deleting your profile and escape from the situation. Negative content on third party sites occurs more often than most business owners realize. You should be prepared for negative and malicious content as soon as you bring your business online. 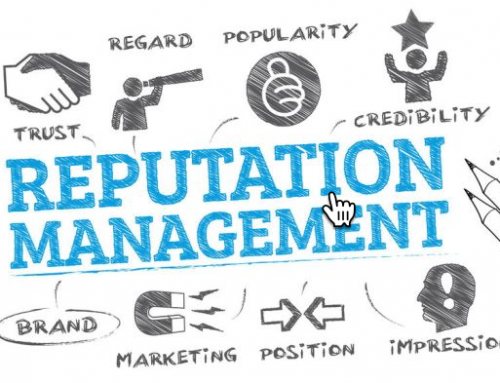 There could be a blogger who experienced bad service from your brand or a third party review website such as Yelp where a customer may be posting negative information about your brand. A website owner might consider removing the negative content if the reasons you provide makes sense to them. On top of this, you could request them to publish your counter response that shows you in a more favorable light. You could contact Google to pull down the content if it violates their policies. A policy violation entails financial information, anything used to commit a fraud, offensive images, and hate speech. The page will be removed from Google search listings. However, it can take days for the necessary action to be taken. Also, the page will still exist. 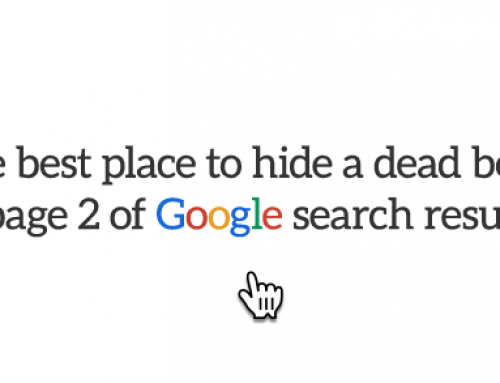 It just won’t show up on Google listings anymore. You also have the option to seek legal recourse where information posted is illegal. For instance, if the negative content is defamatory, discriminatory, illegal, or a copyright infringement then you can legally have it removed. However, this can end up costing a significant amount of money and draw even more attention to the bad content. How to Bury the Bad Content? It is a well-known fact that a majority of people do not go beyond the first page of search engine listings. So, what do you do? You can simply try to push the website links where the negative content is hosted farther down to the second page and beyond. There are various ways of employing ORM and reverse SEO tactics here. How to Employ Reverse SEO? In this approach, rather than removing negative content, you bring in the guns in form of positive content to fight fire with fire. By employing reverse SEO you get the added benefit of strengthening your brand’s online presence. You can suppress the negative content while promoting your brand heavily in a positive light to overshadow the negativity. Another point to note here is that your competition is working hard to acquire the same space in search engine listings. This can work in your favor as their efforts at SEO to bring their website on top can further push negative content down the rankings. How to Use ORM Successfully? There are ways to suppress negative content, such as setting up social media profiles and actively maintaining them. These will show up in search results prominently. You could also start a business blog and post relevant content regularly. Media like YouTube videos, images, and podcasts also work effectively in suppressing negative content. You can create a name for your brand in the right circles by getting proactively involved in your industry. You can become a thought leader by publishing expert and relevant advice or writing guest columns, blogs, and articles for leading sites. You can also leave comments on other posts, and engage with industry influencers online. By linking to other authoritative websites you increase the chances of having your positive content ranked higher. A powerful way to get fresh content to rank above negative content is to have a diverse and qualitative approach to your own content building and content optimization. The best way to completely keep negative content from impacting your business is to adopt a holistic ORM and SEO strategy. Bear in mind, that it is impossible to keep everyone happy all the time. However, you can create a positive impact by responding positively and fairly to negative content.